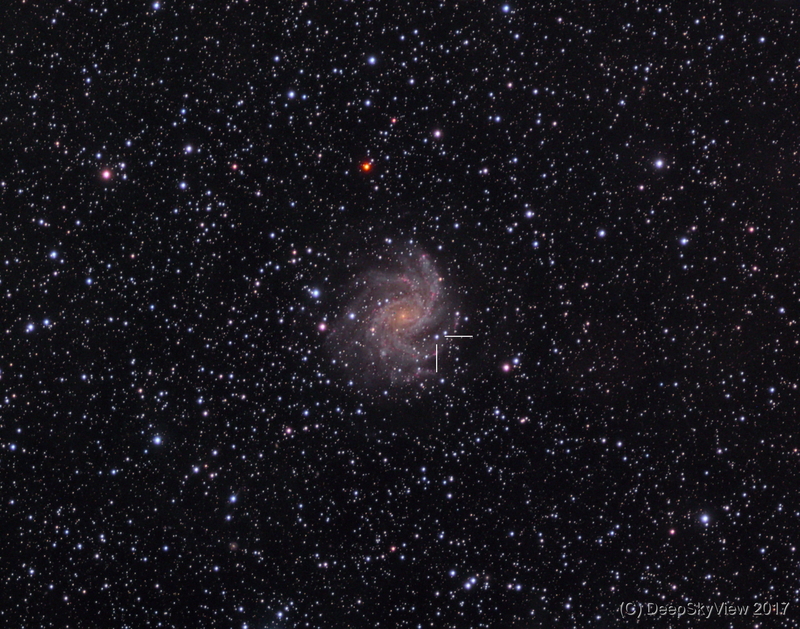 My first shot of the Fireworks Galaxy, NGC6946, with the Supernova SN2017eaw (marked) that was discovered 13 days earlier, on May 14th. A list of photometric and photographic observation of the supernova can be found here. Data taken at the Sternenwelt Vogelsberg. My equipment was not running too well, guiding and auto-focussing were bumpy. I will capture the galaxy again at a later time.